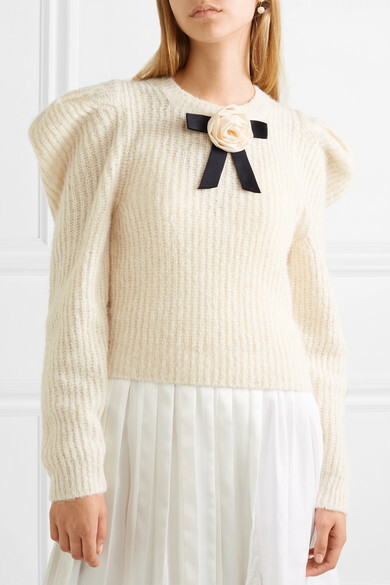 American fashion model Margaux Hemingway - and grandaughter to writer Ernest - plays muse to Philosophy di Lorenzo Serafini's Fall '18 collection. 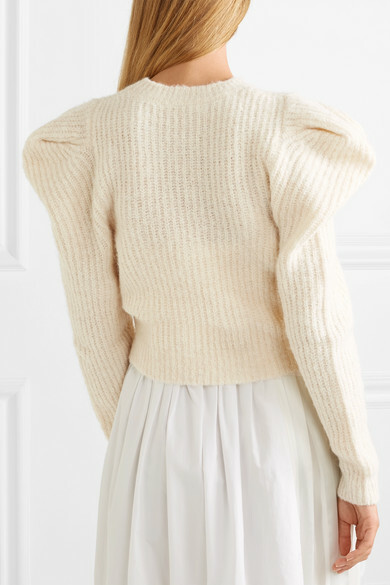 Worn on the runway, this cream knitted sweater is spun with alpaca and wool for a soft handle and has exaggerated puff sleeves. 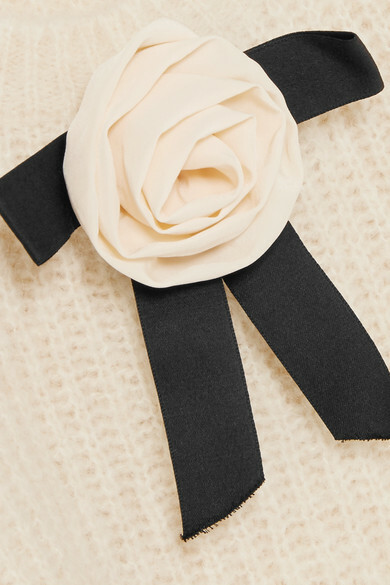 Try detaching the rosette bow and pinning it to a blazer or T-shirt. 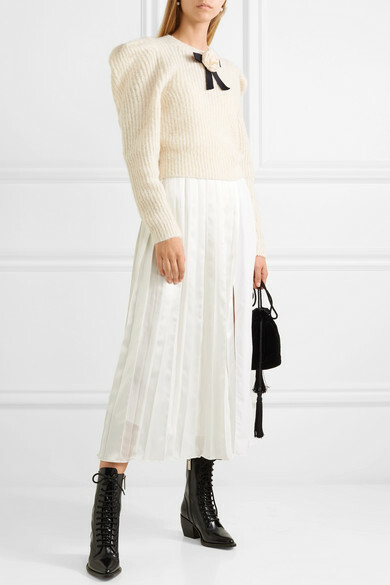 Shown here with: 3.1 Phillip Lim Dress, Hunting Season Shoulder bag, Chloé Ankle boots, Alighieri Earrings.